Architura began a tradition of design-focused architecture when founded in 2000. Architect principals Michael Conly and Charles Kotterman have more than 70 years of combined commercial and institutional professional architectural experience and are aided by an accomplished team of registered architects and design staff. Our mission is to provide design excellence and quality products with an emphasis on personal services delivered with integrity, knowledge, and skill. Architura is an institutional, and commercial architectural practice. Expertise is provided in historic, industrial, corporate, automotive, and government facilities. We utilize the most current technology to implement design, communications, and contractual documents. We focus on architecture and rely on the special skills of our established civil, structural, environmental, mechanical and electrical engineers to serve as our consultants on a regular basis. 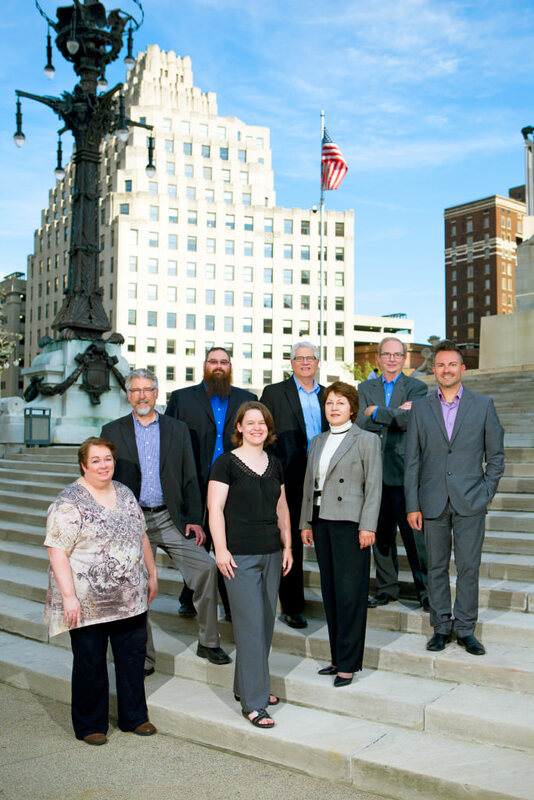 Architura’s office is located in Indianapolis, Indiana and we are licensed to practice architecture in 20 different states, including California, Florida, Arizona, Indiana, Michigan, Kansas, New York, New Jersey, New Hampshire, and several others. Architura is a Service Disabled Veteran Owned Small Business that provides architectural services for the General Services Administration and Veteran’s Administration on significant federal and public sector projects across the country.